We caught up with company director Rob Ormond and heating services manager Richard Beck to find out more about the award-winning company. The 2018 Which? Trusted trader of the year is Tincknell Heating Services, a boiler installation and maintenance business based in the West Country. 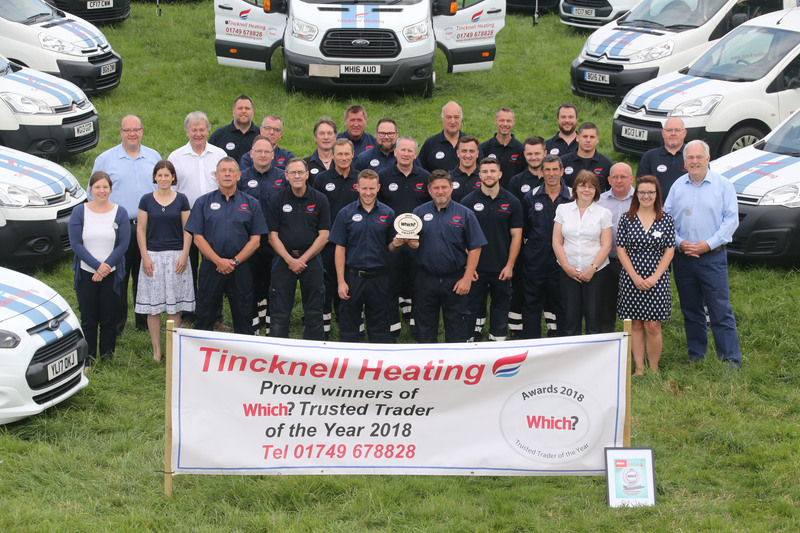 The heating-services arm of larger parent-company Tincknell Fuels took home the award from the ceremony in London in May 2018. Tincknells serves customers across Somerset, Wiltshire, Dorset, Avon and south Gloucestershire. It’s already a well-known name in the South West, with a great reputation for integrity and customer service. 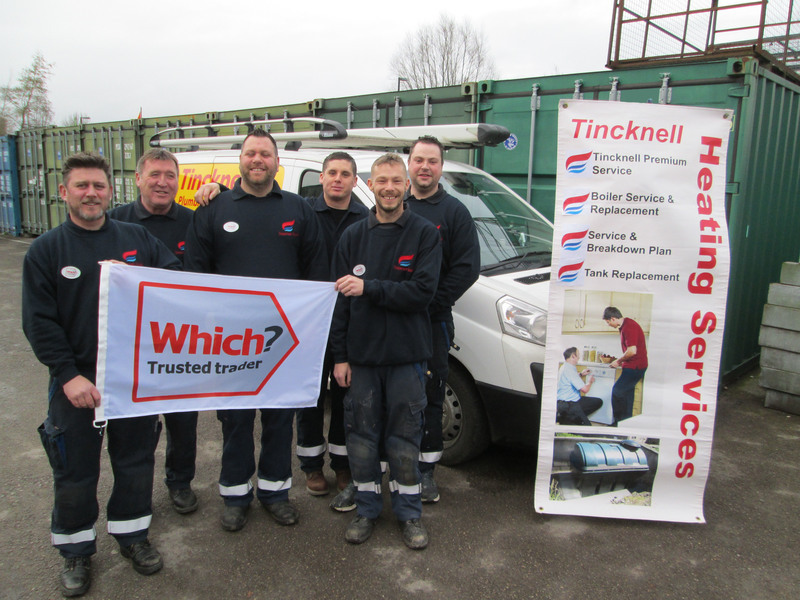 Company director Rob Ormond and heating services manager Richard Beck both emphasise that Tincknells is a ‘modest’ company, concerned more with providing a good service than making a fuss about it. But its recent win could change all that. Winning the Which? Trusted trader of the year award and being elevated above the thousands of other businesses on the Which? Trusted Traders scheme means a lot to the company. But it’s adamant that this won’t change the way it works. See our report on the 2018 Which? Awards ceremony, or read on for more about this year’s winner. Tincknell Heating Services has around 35 staff working across the South West to install and maintain oil and gas boilers. Richard has managed the heating services department for the past 27 years. The department is a similar size to when he started with the business, but the customer base has almost doubled. Part of the company’s recipe for success is an unwaveringly consistent approach to customer service. The business continues to provide an old-fashioned level of care, attention, and high quality of service to each customer. ‘I’ve always worked hard to uphold the family values that founded the business,’ Richard said. One of the most eye-catching ways the Tincknell team display this is the way they give each customer a bouquet of flowers after a boiler installation. But it’s not just the flowers; the steady stream of positive reviews on its Which? Trusted Traders profile page shows how its customers appreciate the company’s attention to detail and excellent service, which it provides whatever the circumstances of each job. Find out how you can make the most of your Which? Trusted Traders endorsement. The Tincknell business was founded by Robert Tincknell in the early 1900s. It started off as a blacksmith before moving into the tractor business during the war years. In 1953, the company took on the local Shell distributorship to supplement the tractor supply and repair, and moved into the fuel business. The original Robert Tincknell’s grandsons joined the company in the 1960s, and Tincknell Fuels was created as a wholly owned subsidiary of R Tincknell and son. The business expanded its offering to provide heating services, while maintaining its standing in the community and a reputation for fairness and integrity. The Tincknell family is still in charge, with the values of integrity and being part of the community central to the business offering. Philip Tincknell is the chairman of the business and his children, Robert and Diana Tincknell, are also on the board. This caring approach reaps its reward in the loyalty shown by the Tincknell Heating Services customers. ‘Many people have been with us for 30 years or more,’ Richard revealed. The team have received cards and well-wishes from their regular customers who heard about the award, and the phone is ringing with new customers, too. Tincknell Heating Services joined Which? Trusted Traders in October 2016. Company director Rob Ormond described it as ‘a natural fit’ and a ‘badge we carry with pride’. The Which? commitment to customer service and honesty matches the Tincknell values of integrity and fairness. It’s also a means to get a public stamp of approval for the way Tincknell Heating Services chooses to do business, from one of the UK’s most trusted consumer groups. Find out how to get more customer reviews on your profile. See how you could be the next Which? Trusted trader of the month. Winning the trader of the month award put the business on the longlist for Trader of the year. Tincknell Heating Services made the shortlist, along with Grants Electrical Ltd and Furlonger Tree Services, and representatives from all three companies attended the award ceremony in London. Many congratulations to our 2018 Which? 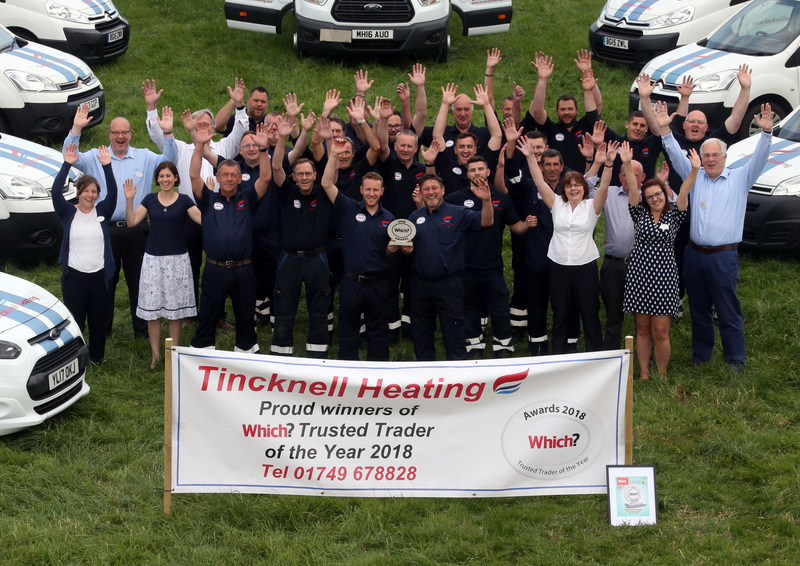 Trusted trader of the year – Tincknell Heating Services.